Why, when you saunter into a game store or navigate your favorite e-tailer, is everything priced $59.99, $29.99, or $19.99? More specifically, why do all those prices end in “.99?” Why not just be honest and price them at $60, $30, and $20? Retailers aren’t fooling anyone by pricing them one cent cheaper, are they? Like most online shops, there’s lots of prices that end in .99 here in the Mann Co. store. “Charm prices” that end in .99 or .95 are a time-honored tradition but their origins are apocryphal. Some accounts point to feuding newspapers trying to outprice the competition by degrees. Others say the prices came about so that store owners could force clerks to open the register (and thus record a sale) in order to make change instead of just pocketing the cash. This effect reflects how the left-most digit disproportionately affects our perception of price. For example, the “1” in $1.99 exerts more influence on our perception of price than do the 9s. So shaving the price of something is most effective whenit changes the leftmost digit. The psychological difference between a $2.99 designer banana3 and a $3.00 designer banana is bigger than the difference between $3.60 and $3.59 because the left-most digit matters most. The psychological literature is replete with evidence for the left-digit effect. For example, a 2005 study4 study asked subjects to estimate how items from a catalog they could buy with $73. They were first presented prices ending in .00, then repeated the process with process ending with .99. Across all conditions, subjects estimated they could afford to buy more when prices ended in .99. A 2005 article by Maoj Thomas and Vicki Morwitz in the Journal of Consumer Research presents5 presents and tests a theory to explain the left digit effect. First, they say that the mental process people go through when making sense of prices involves translating them into abstract magnitudes that are held in the mind while the decision is made. One axiom of the psychology of decision making, after all, is that humans tend to be bad at thinking in absolute terms like dollars, distance, or dimensions. Instead, we tend to think in terms of comparisons on an analog scale. Thus $2.00 is seen as less than $3.00 –naturally. But Thomas and Morwitz argue that as quickly as this “convert to analog” process happens, the fastest-moving part of our brain actually starts to encode the information before we finish the left-to-right process of reading a price. Thus $59.99 is seen as meaningfully less than $60.00 because that leftmost “5” is coded as meaningfully less than the 6. Sure, the relatively slow moving, rational part of your brain catches up an instant later and recognizes that a penny’s difference means nothing, but the snap judgment has already been made and perceptions of price are now subtly biased. As with most cognitive biases, we’re especially susceptible to the left digit effect when the rational part of our minds are busy or tired. But wait. 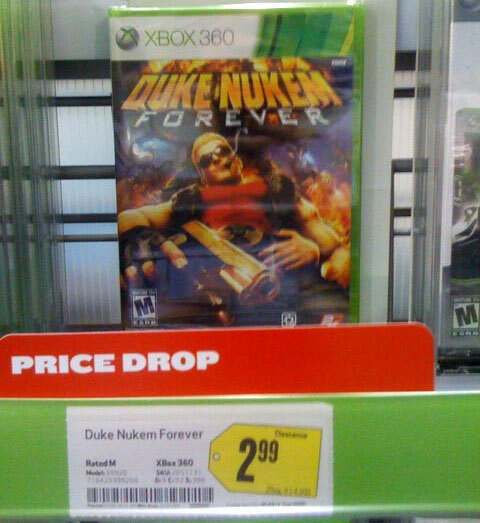 There’s more to the left-digit effect than game prices. This effect can happen for any number or measurement. That includes things in the world of video games like average review scores, weapon stats, cooldown timers, gigabytes of disk space, leaderboard scores, and just about anything else that’s represented by a number. 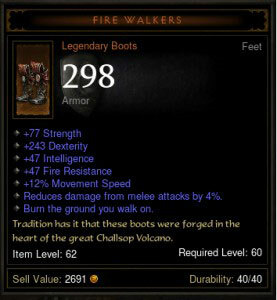 I’d bet this item would sell in the Diablo 3 auction house for less than an identical piece with 2 more armor –less than you’d expect from math alone. DID I JUST BLOW YOUR MIND? No? Not even a little? Well, regardless, the left-digit effect can show up lots of places once you know to look for it. If you’re designing an axe for your RPG that does 3.02 damage per second, it’s going to be seen as disproportionately better than a sword with a 2.99 dps. Adding a skill point to reduce the cooldown timer on an ability from 5 seconds to 4.5 seconds is going to seem like a better use of the skill point than the previous time it was reduced from 5.5 to 5. And 3,000 experience points for a quest reward is going to be a lot better than 2,950 –more so than math alone would lead you to believe. If you’re a game designer trying to maximize player satisfaction over rewards but don’t want to hurt balance too much, the left-digit effect may be a very good tool to have in your box. These left-digit effects are likely to be most effective if employed when players’ mental resources are depleted or directed elsewhere. Examples might include during combat or a multiplayer match, in the midst of a complicated character creation process, or in an inventory screen where players compare item stats. Because biases sneak in when the more conscious parts of our minds are too distracted or exhausted to recognize and counter them. 1. Schindler, R., and Kirby, P. (1997), “Patterns of Rightmost Digits Used in Advertised Prices: Implications for Nine Ending Effects,” Journal of Consumer Research, 24 (2), 192–201. 2. Back when that was a thing as a “newspaper” I kid you not. 3. For example. You all eat designer fruit, right? 4. Bizer, G. and Schindler, R. (2005). Direct Evidence of Ending-Digit Drop-Off in Price Information Processing. Psychology & Marketing, 22 (10) 771-783. 5. Manoj, T. and Morwitz, V. (2005). Penny Wise and Pound Foolish: The Left Digit Effect in Price Cognition. Journal of Consumer Research, 32. 54-64. And it actually is for cooldown effects, as a fixed reduction has a larger relative impact on smaller values (just imagine reducing a cooldown from 10 to 5 seconds, versus reducing it from 5 to 0). Although I suspect the example might still be valid when reducing a cooldown from 6 to 5.5 seems better than reducing it from 5.5 to 5. Nitpicking aside though, does the left digit effect also mean it’s actually counterproductive to price something at $99.99 instead of $100 ? That’s an interesting question about $99.99 vs. $100 (and specifically not $100.00). It would be cool to test that out (and I bet someone already has). I had actually been wondering about this last month, glad to see some more information on it. When I had been thinking about back then another question came to mind. Would you happen to know of any research concerning using this same effect in a virtual economy that is not based off a common currency? For example if I was using a game currency like gold/silver/copper which have a direct relation to each other, or a currency that cannot be broken down into smaller values (like gems in GW2, or the soon to be defunct Microsoft Points or Facebook Credits). It’s interesting that people thought they could buy more stuff with only $73 when all the prices ended in $.99. I also like you 99% guarantee. Btw, just wonder if you’ve ever heard of the right digit effect (see: http://www.jstor.org/discover/10.1086/518526)? According to the abstract, consumers “perceive larger price discounts when the right digits are “small” (i.e., less than 5) than when they are “large” (i.e., greater than 5)”. This seems to suggest not to end prices in $.99. Since you wrote about the left digit effect, I’m just interested in your thought about the right digit effect.